India has joined the international community in welcoming the annual commemoration of the International Day for the total elimination of nuclear weapons. "India remains committed to the goal of a nuclear weapons-free world and the complete elimination of nuclear weapons consistent with the highest priority accorded to nuclear disarmament by the Final Document of SSOD-I. We believe that this goal can be achieved through a step-by-step process underwritten by a universal commitment and an agreed global and non-discriminatory multilateral framework. There is need for a meaningful dialogue among all states possessing nuclear weapons to build trust and confidence and for reducing the salience of nuclear weapons in international affairs and security doctrines," a statement by Ambassador Syed Akbaruddin, the Permanent Representative to the United Nations, at a high-level plenary meeting to commemorate and promote the International Day for the Total Elimination of Nuclear Weapons at the United Nations General Assembly, read. The statement added that India considers the Conference on Disarmament - the world's single multilateral disarmament negotiating forum - as the appropriate forum for the commencement of negotiations on nuclear disarmament, adding that "we regret that the Conference has been prevented from adopting a programme of work that reflects the international community's desire for progress on nuclear disarmament and non-proliferation in all its aspects." "For its part, India stands ready to commence negotiations in the Conference on Disarmament on a comprehensive Nuclear Weapons Convention on the lines of the Chemical Weapons Convention, the only comprehensive and internationally verifiable treaty so far banning an entire category of weapons of mass destruction and providing for their elimination. Further, without prejudice to the priority we attach to nuclear disarmament, India supports the commencement of negotiations in the Conference on Disarmament on a Fissile Material Cut-off Treaty on the basis of the mandate contained in CD/1299," the statement further read. India further said that it believes that increasing restraints on the use of nuclear weapons would reduce the probability of their use - whether deliberate, unintentional or accidental, and this process could contribute to the progressive de-legitimisation of nuclear weapons, an essential step for their eventual elimination, as has been the experience for chemical and biological weapons. In this regard, India's resolutions in the First Committee on measures to Reduce Nuclear Danger (A/Res/71/37) and on a Convention on the Prohibition of the Use of Nuclear Weapons (A/71/75) have received support from a large number of member States. "We hope that this event, today, would enhance public awareness and knowledge about the threat posed to humanity by nuclear weapons and the necessity for their total elimination. That, in turn, would contribute to mobilizing international efforts towards achieving the common goal of a nuclear-weapon-free world. 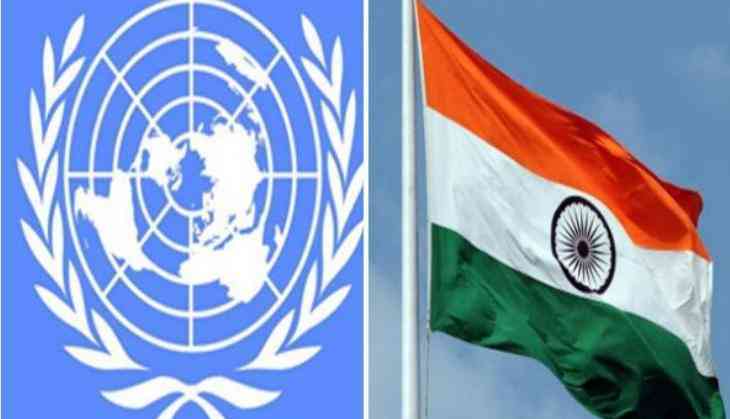 India looks forward to the convening of the United Nations High-level International Conference on Nuclear Disarmament in 2018 and shall work constructively with all Member States towards its successful outcome," the statement concluded. In conclusion, India added that it associates itself with the Statement made by the Non-Aligned Movement earlier on the occasion.